"Who hasn't wanted to punch Chandler?" 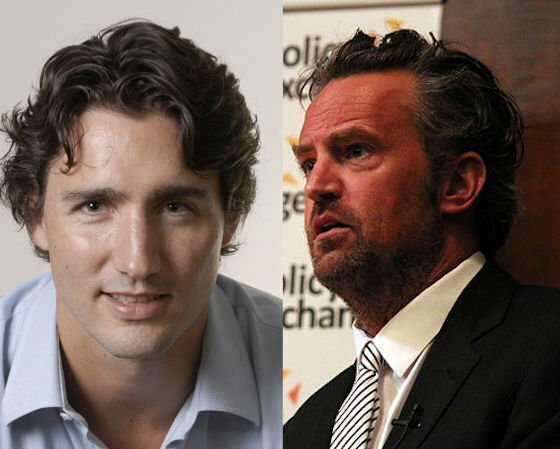 Last month, it came to light that Friends star Matthew Perry had bullied Canada's head of government back in their Ottawa elementary school days, and over the weekend, a rematch almost manifested itself thanks to Twitter. On Saturday (April 1), the Prime Minister of Canada celebrated April Fools' Day by challenging Perry to a new fight, spewing smack talk like: "Who hasn't wanted to punch Chandler?" And while Trudeau's threat may have been purely made in jest, Perry (who portrayed Chandler Bing on Friends for 10 years) nevertheless responded yesterday (April 2). He politely declined the offer for a rematch, "given that you currently have an army at your disposal." Forget the Canadian Armed Forces, since getting beat up by Perry as a kid, Trudeau's been crowned the winner in a much-publicized charity boxing match against Senator Patrick Brazeau and showed off his strength with totally viral yoga poses. Relive Perry's original story about beating up on Trudeau via Jimmy Kimmel Live below.